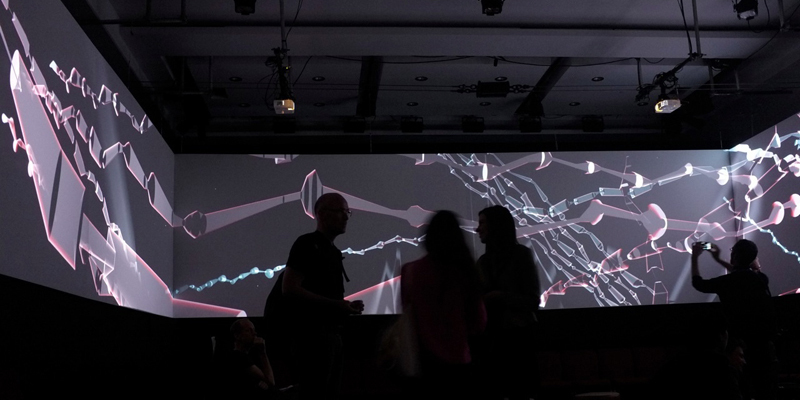 Fundamental Forces is a collaborative audiovisual installation / performance project by Robert Henke (D) and Tarik Barri (NL/D). The title reflects the focus on movement, acceleration and the interconnections and attractions between visual structures and sonic events, as well as the underlying mechanics in each of the domains. Complex visual shapes and sonic structures emerge as the result of repeated applications of simple mathematical operations, are transformed and thrown around in real time to form an abstract world of floating objects in deep space. Fundamental Forces has no narrative, it simply exists and changes. The title references concepts of physics that aim to describe the basic foundations about how our universe is constructed. It aims to find a concept of eternal validity, a concept that not only describes what happens now and here, but also helps us to understand the world outside our experience. Fundamental Forces reflects this search for knowledge in many ways. By using self written and constantly improved and extended software, we not only create what people hear and see but also build the foundations of what they could experience in the future. We do not build an installation, we build a machine that constitutes a class of potential installations. Each screening of Fundamental Forces is a snapshot of the current development. 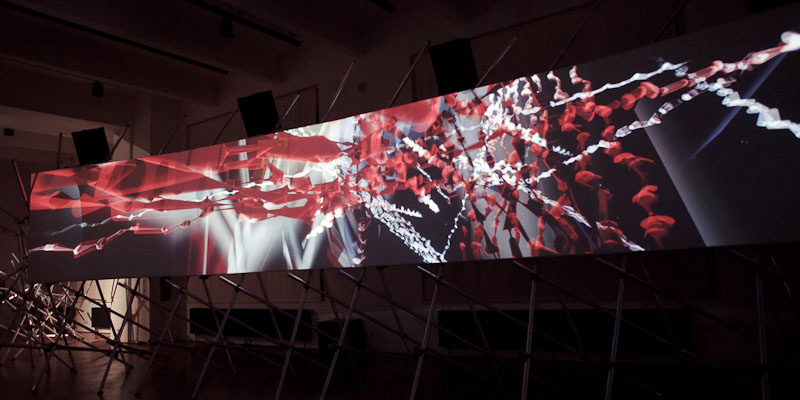 Fundamental Forces is either a pre-rendered high definition multiple or single screen projection with surround sound or a real time generative system with potentially infinite duration. 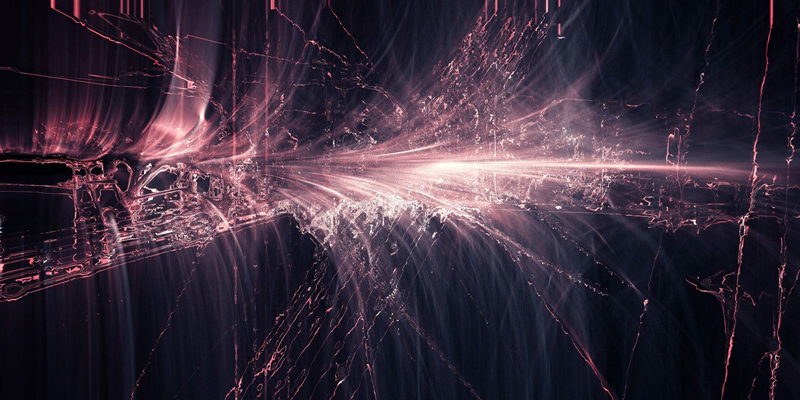 The visual component is based on Tarik Barri's 'Versum' computer animation engine, whilst the auditive part is created by Robert Henke, using real time synthesis modules created in MaxMSP, embedded in a Max4Live environment. Fundamental Forces is scaleable. It has been initially created as a commissioned work for the RML Cinechamber system which consists of ten 1080p projections and eight channels of sound (FF00 - FF01). A later version (FF02) has been adapted to work with six screens and a 5.2 sound system. FF04 is a small single projection version in stereo, derived from FF02. FF05 is a version with three projections and Wave Field Synthesis sound diffusion.